To know more about each college that you are interested in, please click on the name of the college. You will be led to a new page that has all the information that you may require about that college. 2. All India Institute Of Medical Sciences College Of Nursing. 5. St Stephen’s Hospital, College Of Nursing. •	All India Institute Of Medical Sciences College Of Nursing. Any new addition in the number of colleges will be added here. If you require more information about admission details or any other specific information about any college listed here, you can ask for such details in the comments. You can also email us and we will try to provide the information as soon as possible. Do you like to gain admission in one of these colleges? If you do not know the process of admission, please send us a mail or comment. We will help you to know the process of admission. 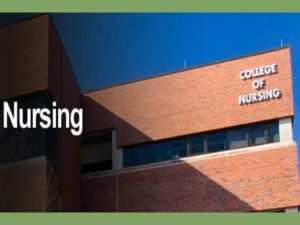 The information provided here was a great help but, I would like to know more about the admission dates of all the colleges in Delhi NCR providing admissions for nursing. Thank you. We can get the admission dates of any specific college in which you are interested. We are trying to get the information from the colleges, but most colleges change the dates based on the applications. The tentative dates are provided in the articles related to specific colleges. Thank you. Tutor post will surely be vacant in many colleges. Are you looking for posts only in Delhi?